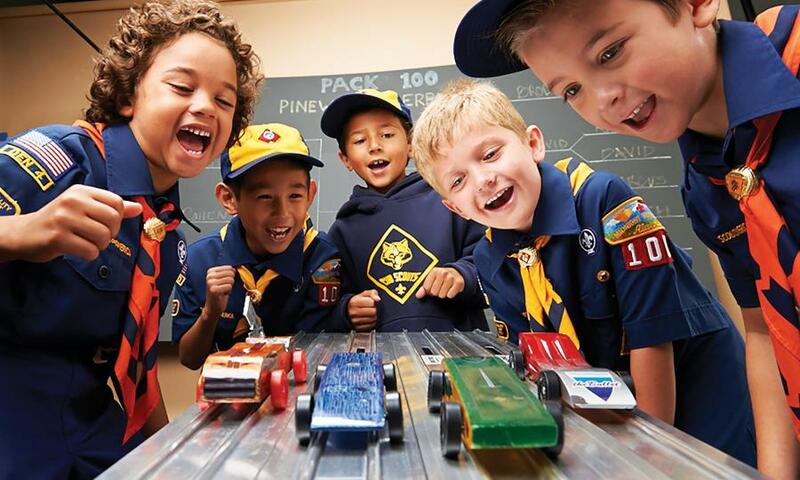 Cub Scouts pack 43 at the CCV Center for their annual Pinewood Derby where the Scouts competed for trophies. CLEARWATER, FLORIDA, US, March 6, 2019 /EINPresswire.com/ -- The Clearwater Community Volunteers (CCV) Center supported by the Church of Scientology Flag Service Organization and located in downtown Clearwater, Florida, is holding monthly complimentary fundraisers, to support local humanitarian nonprofits that help children and families in the Tampa Bay area. The Center covers the cost of food, venue, and event planning for qualifying nonprofits. Each fundraiser is planned with the center’s staff members to the preference of the nonprofit leader, creating an event that’s unique to the group. One example fundraiser was an afternoon tea in which guests were treated to freshly baked scones with clotted cream, jam and a variety of teas and raising over $1,000 for the nonprofit. Since their founding in 1992, the Clearwater Community Volunteers (CCV) have helped over 150,000 children and families. Sponsored by the Church of Scientology Flag Service Organization, CCV stays true to the founder of Scientology’s inspiring words, “Love and help children”.